Weekends mean only one thing – rest day. And what better way to celebrate your rest day than to spend it with the ones you love? A whole day at the beach; shopping with the gals; hitting the theater; and many more, are just some of the itineraries that you can do with your friends. After all, it’s all about celebrating the same interest in the group, right? But what if you are a parent? How will you spend your rest day without making your family bored or unexcited? Simply go to national parks. There may be no beaches, no theaters to watch Man of Steel, or no goodies to shop at the park, but you can actually do a lot of things at the park that you cannot do in the mall or beaches without breaking your bank. Capture breathtaking sceneries; get closer to nature; learn more about the environment and science; play ball or keep kids busy in the playground; sweat it out by hiking; hold special occasions in the place; play group games like scavenger hunt; and other tons of activities, are all greatly open and available at the park. Given the number of activities that you and your family can do at the park, there is no way that boring moments come lurking on your rest day. 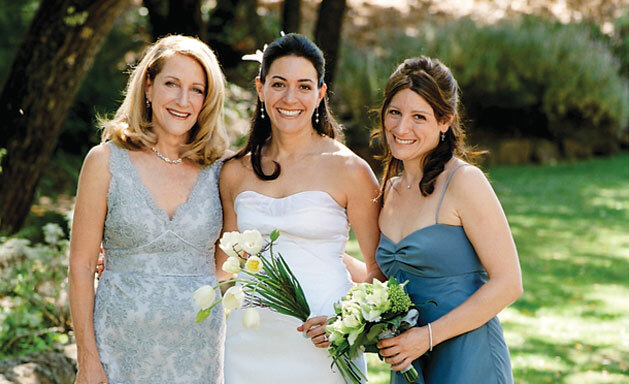 Furthermore, you can experience all these with your family members without necessarily spending a lot of money. There is nothing you can ask for if you spend your rest day at the park. Here is a list of some of the best national parks in the US that you can go to. Grand Canyon National Park – The Grand Canyon National Park is one of the most sought after national parks in the US with its beautiful carvings and steepness, dizzying elevation, and the breathtaking rims that offer no room for ugliness. Speaking of rims, Grand Canyon has North and South rims that magnificently meet the sky. Aside from that canyon, wild flowers, fresh and cool air, stunning waterfalls, and wild animals like deer, can also be found in the area, adding more excitement to your weekend. 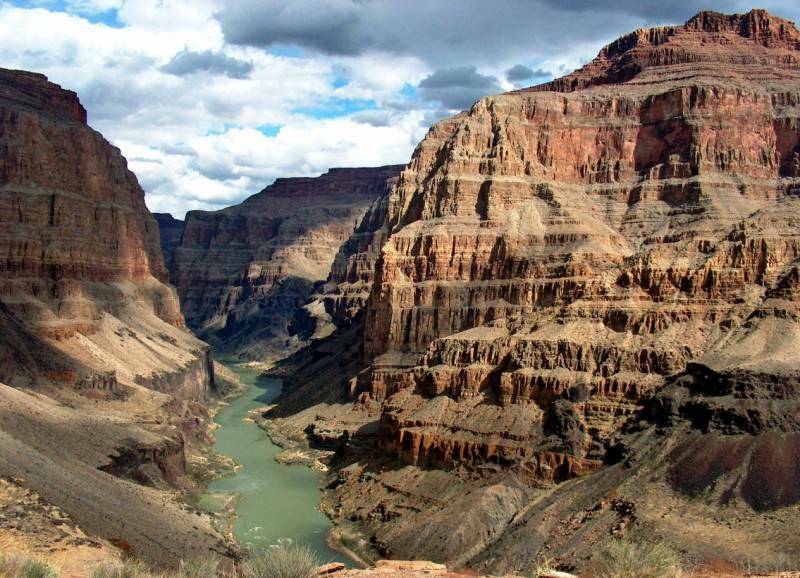 Some of the things that you can do at Grand Canyon National Park include helicopter tours, hikes and canyon trail rides, bicycle rides in its foot, Open Road Tours, and river adventures at the South Rim of the Canyon. You can also opt for the Skywalk that lets you walk on glass as the bridge. Meanwhile, visiting the area is not advisable during the rainy season to avoid thunderstorms. Yosemite Valley – Renowned for its enchanting centerpiece, which is actually composed of gigantic granite rock formations that blend well with the sun’s natural rays, called Half Dome. Half Dome looks amazingly beautiful from sunrise to sunset as the sun starts to creep out and rest at night for the moon to overtake the planet. 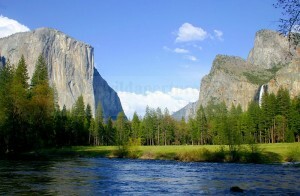 Half Dome looks every bit enchanting, which makes Yosemite Valley one of the most go-to national parks in the US. The place is teemed with rare species of animals and insects and soft, smooth sounds of the waterfalls that traverse from the different topmost parts of the rock formation. Infamous falls that endlessly run in the spot include Nevada and Vernal Falls. The valley boasts of its rock formations that are separated at least four thousand feet part. You can tell that it will be a long, yet fulfilling walk. Yellowstone National Park – This is the best national park to go to if you want your kids to enjoy watching a variety of animals from the magnificent grizzlies to the incredible bison. If you’re lucky, you can even get a glimpse of a pack of wolves during your tour. Okay, these animals are greatly dangerous, but don’t fret because Yellowstone National Park also hosts some of the best geysers, waterfalls, and other water ways in the US. The Old Faithful, Grand Canyon of the Yellowstone, and other choices of marvelous blues in the place, are some of the spots to go to at Yellowstone National Park. 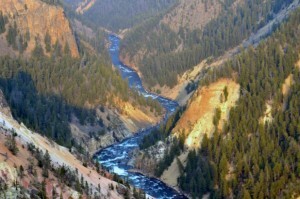 Yellowstone Raft Company, Roosevelt Country, Mammoth Country, Hiking Trails, Geyser Country, and Canyon Country all offer a plethora of activities that all members in the family would surely love. One of the good things about visiting a popular national park is the fact that they already have accommodations ready for those who want to stay for the night after a long, fun, and exhausting day. These are the top national parks in the US that have been visited by visitors from all over the world. These parks boast of natural wonders that make us realize that our planet is indeed filled with little paradises. These parks are reasons enough to keep our environment clean for the next generations to enjoy. But before you start thinking about enjoyment, make sure to check the weather of the place first. This way, you can bring whatever is needed to avoid getting soaked under the rain or getting burned under the sun’s scorching heat and to achieve that ever-dreamt fulfilling rest day.